With a bundle of 28 different vulnerability scanners and network tools, you will find solutions for a wide range of problems. 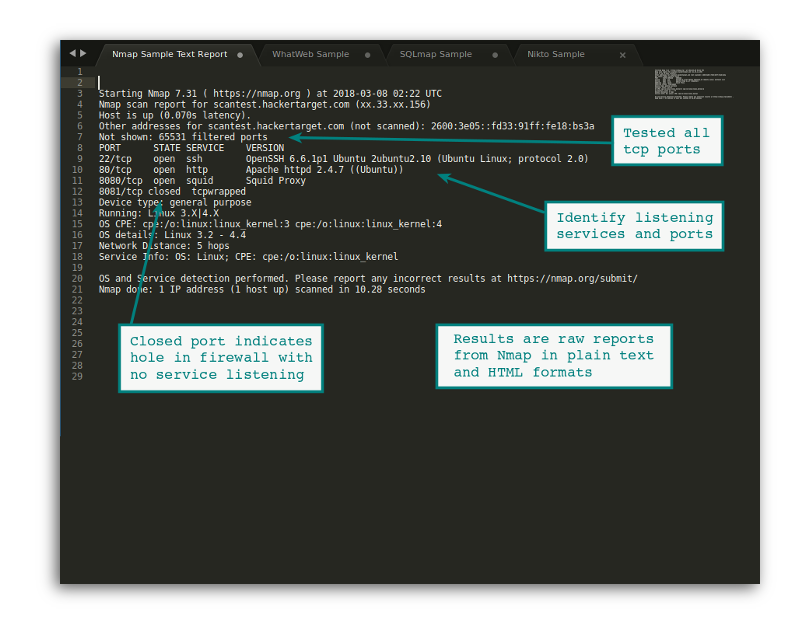 Schedule Nmap to monitor Internet facing services on a host, network or entire ASN. From troubleshooting network services to checking open ports on rapidly deployed systems. System Administration is sometimes like drinking from a fire hose. Mistakes happen, with Nmap quickly discover services that should not be on the Internet. Detect a wide range of network service and web application vulnerabilities across any Internet facing system. Schedule scans for weekly or monthly reports. Configure report to alert on changes to vulnerability count. 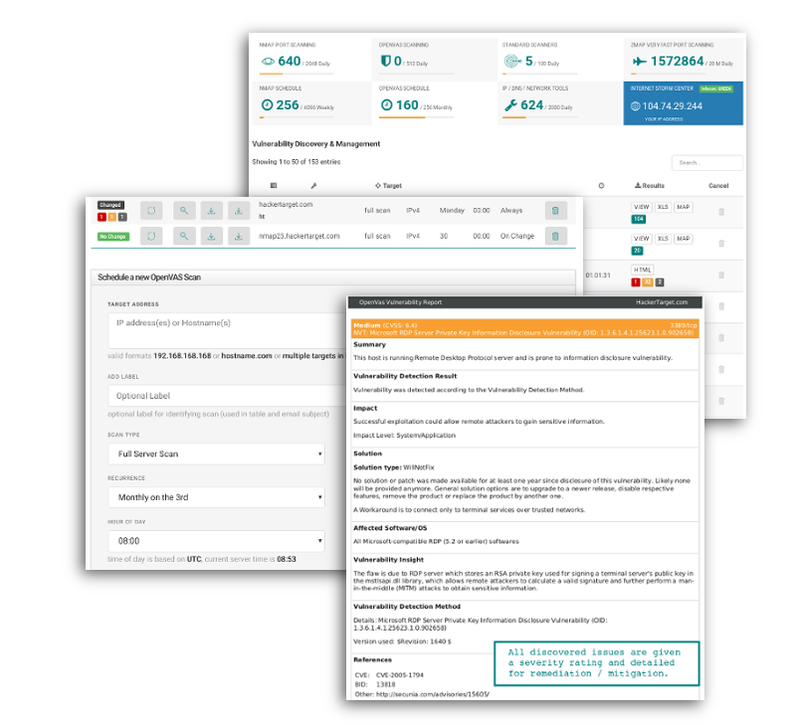 Detailed reports that include vulnerability severity with technical details of immediate value to the user. Enterprises with large amounts of IP space will benefit from fast scans of hundreds of thousands of IP addresses. When a new threat hits the cyber news feed; fire off a scan and get real time visibility across your entire address space. Get an accurate picture of your attack surface in a few minutes. Discover RDP, SSH, VPN Endpoints and more across your external infrastructure. Identify endpoints across an entire organization using DNS data sets and Internet wide scan data. Teams change, staff leave and systems are forgotten. Find unmanaged, unpatched systems that are still accessible from the Internet. Get an overview of any targets Internet Infrastructure. Research competitors. Win Bug Bounties. Red Teams and Penetration Tests. Game On. Determine web technologies in use on both front end and server side. Gather screenshots for at a glance review. Paste a list of web sites or host names and get an overview of any HTTP based services. Test up to 1000 sites at time. Analysis is performed from a simple HTTP GET request. Low Impact. Use for Bug Bounties, Pentests and other Internet Research. Identify WordPress Core Version, plugins and more across a list of WordPress based properties. Review customer site status, prospective customers and internal sites in bulk. No impact. 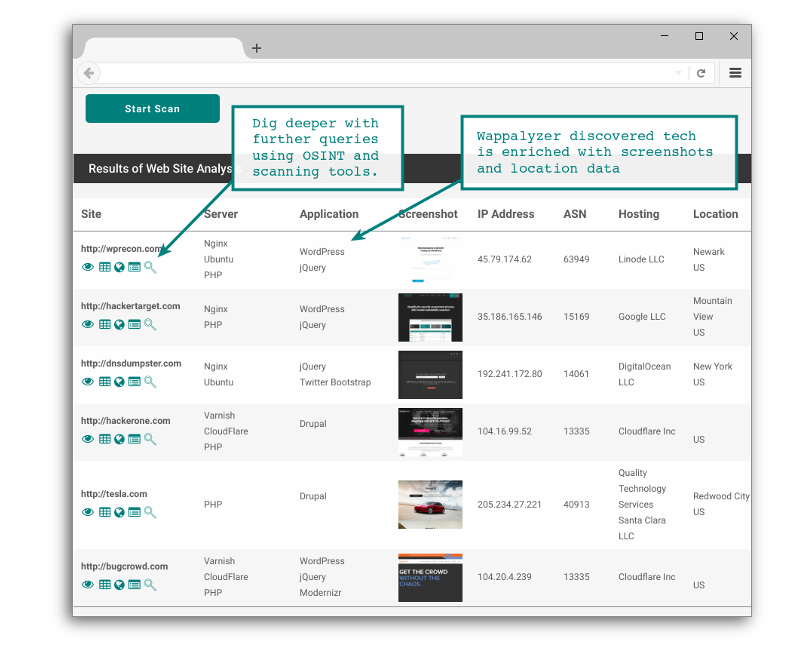 Penetration Testers, Bug Bounty Hunters and Security Analysts can quickly review large numbers of sites to find those that may not be well managed. These use cases scratch the surface of what is possible. 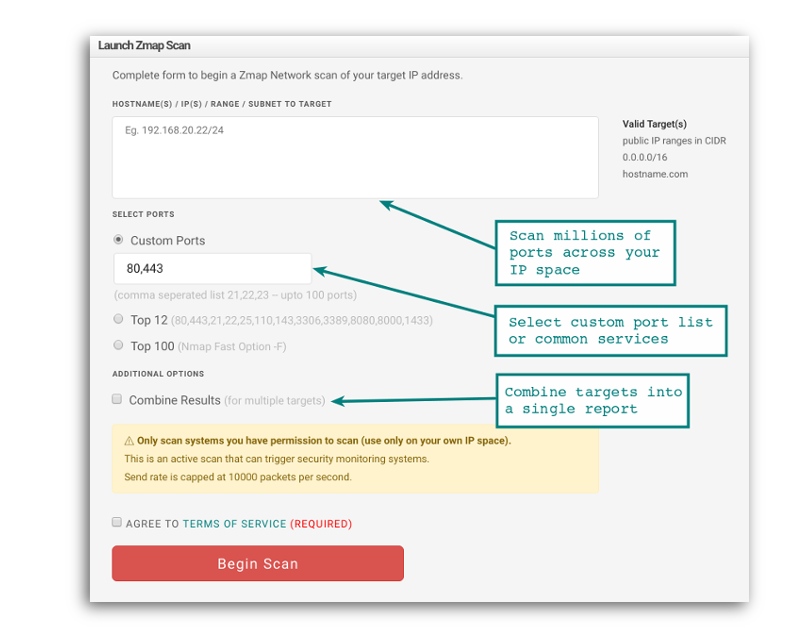 Hunt vulnerabilities across your Internet facing assets. Protect your endpoints with improved visibility. Know your network. Discover Internet facing assets for any target organization. 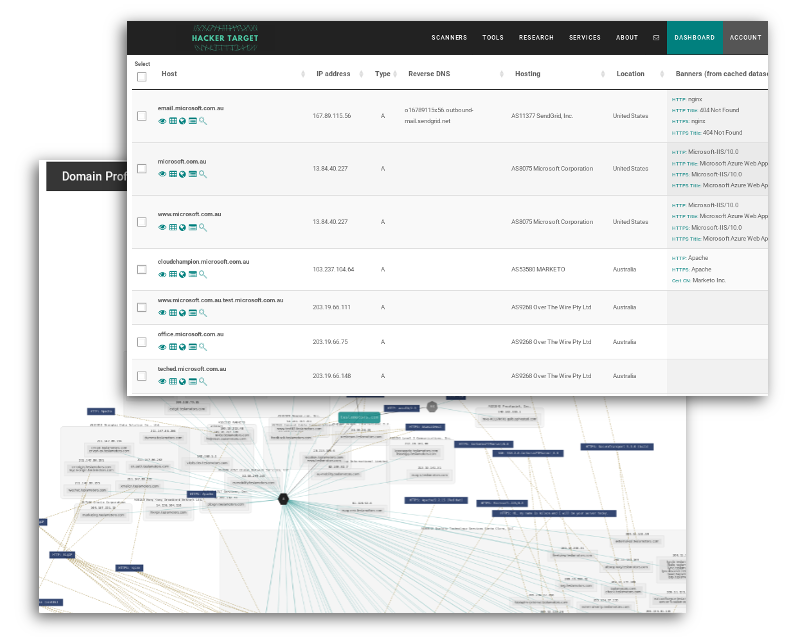 Network research tools for DFIR, Threat Hunting & Operations. 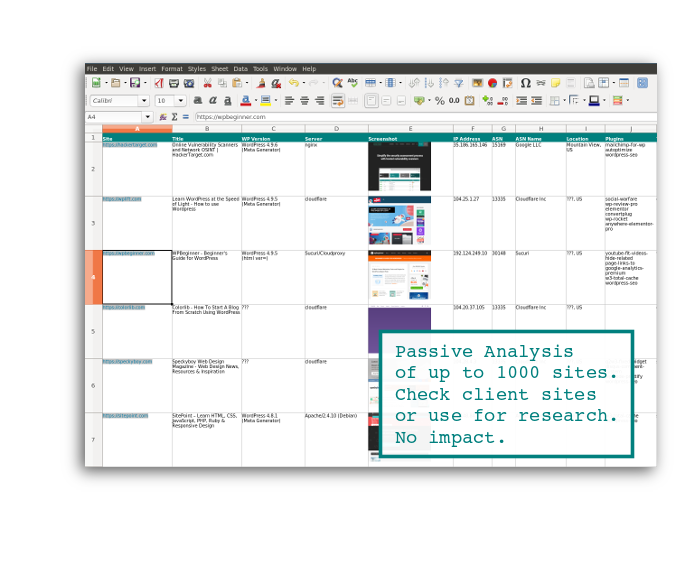 Paste lists of targets into the scanning tools for bulk analysis. Simple form to launch tests. Results available in email or dashboard. Scanning infrastructure ready to go whenever you are. Test anytime. Reports contain raw tactical output. Paste into custom reports.